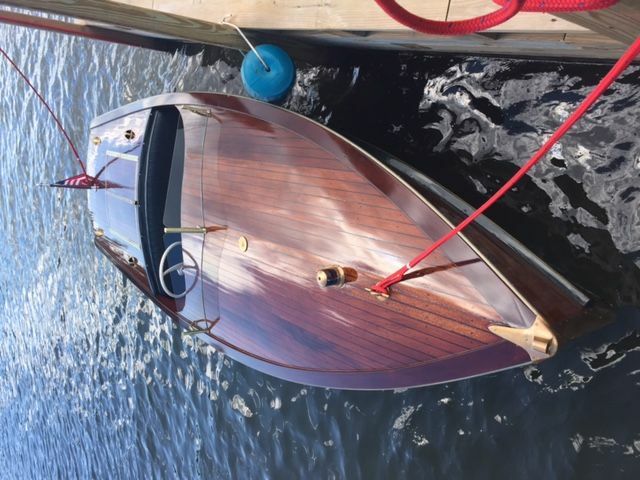 One of a kind 1949 Penn Yan Clipper Aristocrat inboard with special bronze prop and rudder. Looks and runs great with brass trim and hardware. Gray Marine Phantom Four 45hp was rebuilt in 2008 with very little hours since. Has 6 volt electrical system. New in 2010, 19 gal polyethylene gas tank forward mounted, fuel gauge, mahogany stripped and varnished. Comes with cover and trailer that are in good shape. 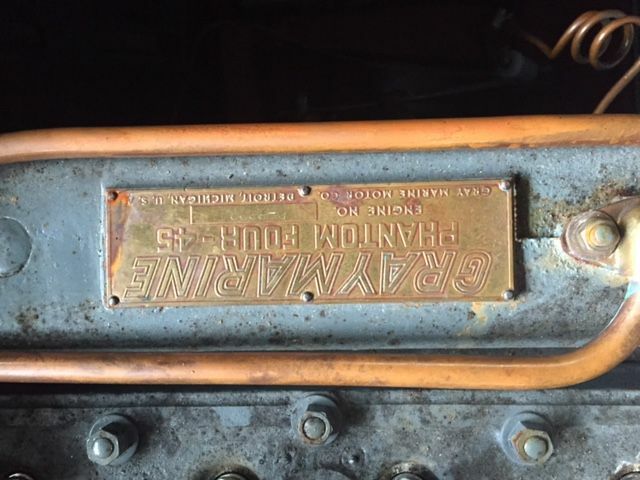 Everything maintained by Fish Bros boat builders in Queensbury, NY since I have owned it. Featured in Clayton Boat Show 2002 and 2013 Clayton, NY. 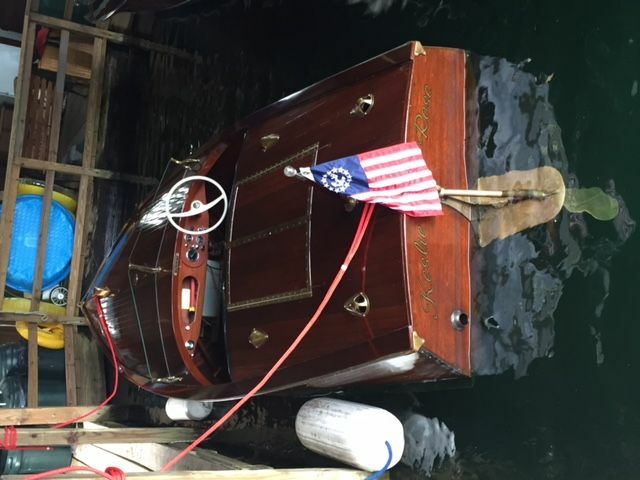 Grandson of original owner of Penn Yan Boats says this boat is a one of a kind from when Penn Yan and Johnson Outdrives were considering merging their businesses. 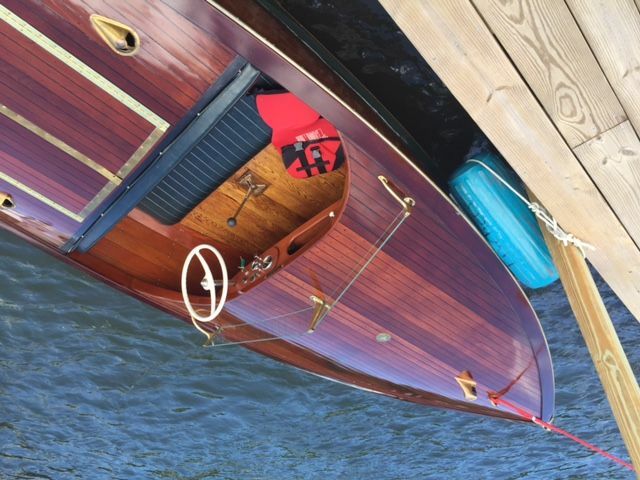 This is truly a special boat that has been on Lake George for the past four years. 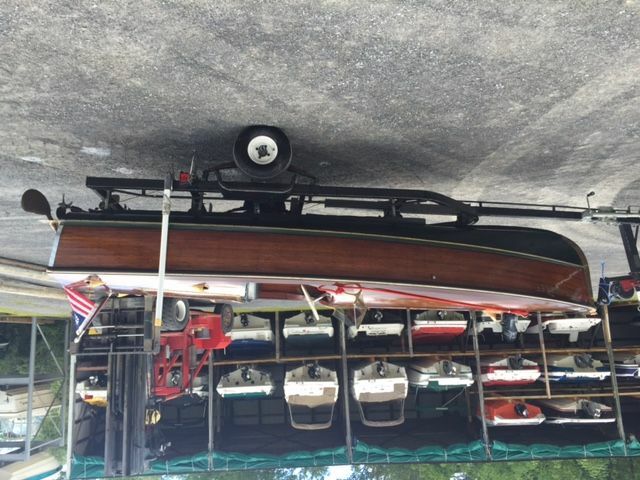 Photos are upside down and I can't fix, so please see ad on Craigslist Albany, NY or antique boat america for more photos.